Lothar Mikos is Professor of Television Studies in the Department of Media Studies at the Filmuniversity Babelsberg in Potsdam, Germany. 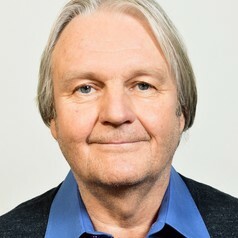 He founded the Television Studies Section of the European Communication Research and Education Associaten (ECREA) and served as chair until 2016. He is president of the advisory board of the German Children’s Media Foundation. He was the managing director of the Erich Pommer Institute for Media Law, Media Economy and Media Research (2010-2014). His main areas of work are Economy of the International TV Format Trade, Television Series Worldwide, Digital Distribution., Convergence Culture, Popular Television Genres and Formats, and Audience Studies.